Garry Carson continues to be one of the most sought after entertainers working today. From Casinos to Corporate Events, Cruise ships and Colleges, with the most gratifying being the non-profit organizations geared to raising funds for children and their families. Known for his highly energetic style, unique rhythm and clean intelligent material, Garry can evoke deep belly laughs from a perspective that makes him stand out from the rest. Garry is one of the few magicians working today where the whole family can laugh and enjoy his hilarious, mind-boggling and engaging show together. He believes you can be funny, clever, insightful and tasteful. A winning combination of high-energy material and his extremely funny and down to earth demeanor can be presented to a wide audience and is the reason why Garry is so sought after. Garry Carson has appeared on major stages in the United States, Europe, Australia and Asia with many television appearances around the world. His most recent is for FOX’s “Masters of Illusion” series. 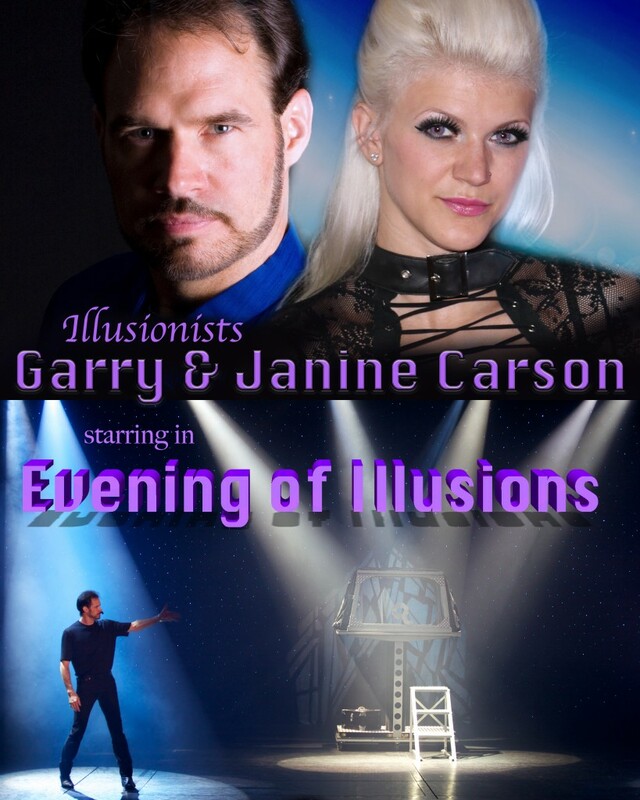 Don’t miss this much-talked-about show with the talents of Garry & Janine Carson. It is a performance that the entire family will enjoy with a combination of music, magic, comedy, along with larger than life grand illusions. His show will leave your audience thoroughly mesmerize and talking for weeks to come. Garry & Janine have a natural ability to make everyone feel like they were a part of something special. 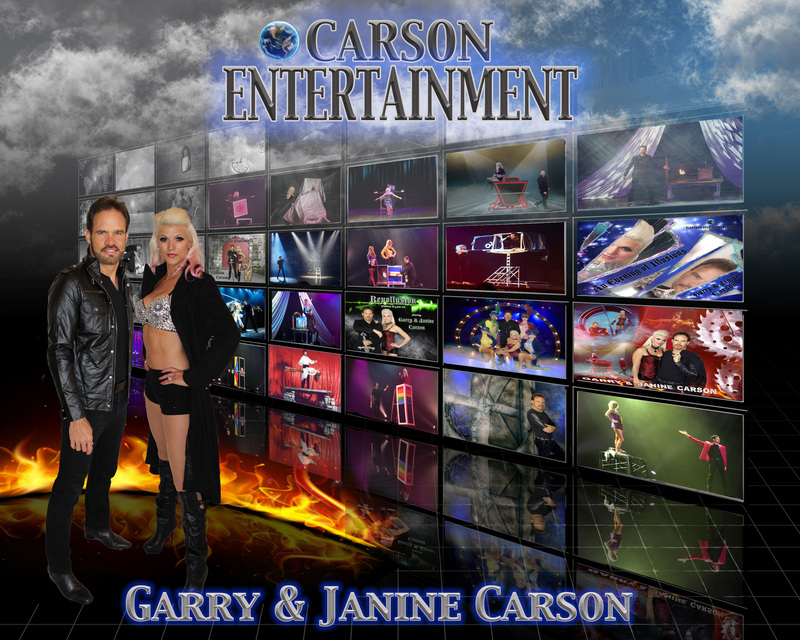 Carson Entertainment has mystified, entertained, enthralled and inspired literally millions of people throughout the world with international travels to over 40 different countries. Take your next event to new heights with a solid entertainment investment with Carson Entertainment.